On 7 February, 2012 by Ciara Feely	Comments (0), leave your own! Dublin Convention Centre is a conference venue Dublin should be proud of. It really has helped Dublin to compete as a world class Conference destination with conference facilities that compare to the top 10 in the world. The Conference capacities at a glance – I put this together as it took me an hour of trawling through the DCC site to find this! 22 conference rooms, multi functional and flexible. For those of you with an interest in “Eco” friendly venues, it is the first carbon neutral conference centre in the world and for the techies it is one of the most technologically sophisticated venues in the world. 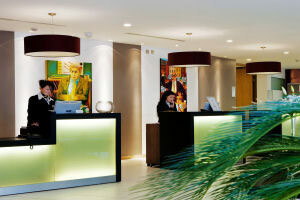 It is located close to a host of great conference hotels such as the gibson, Clarion IFSC, Maldron Hotel Cardiff Lane. The local transport – the Luas, also runs right to the door, making it extremely accessible. Parking is available for a few hundred cars also – not that you want that many in the area at the same time! While I do get feedback that it can be a bit expensive, for local events that don’t need the high spec of technology, I would agree. But for large Association conferences and exhibitions, when you consider the fact that a quote includes all the AV, technology, signage, carpeting, heating etc that so many venues of its size quote for separately, it compares well to conference venues around the world. Dublin is also now recognised by hotels.com as one of the cheapest in Europe for hotel accommodation. This is a massive consideration for any conference organiser. 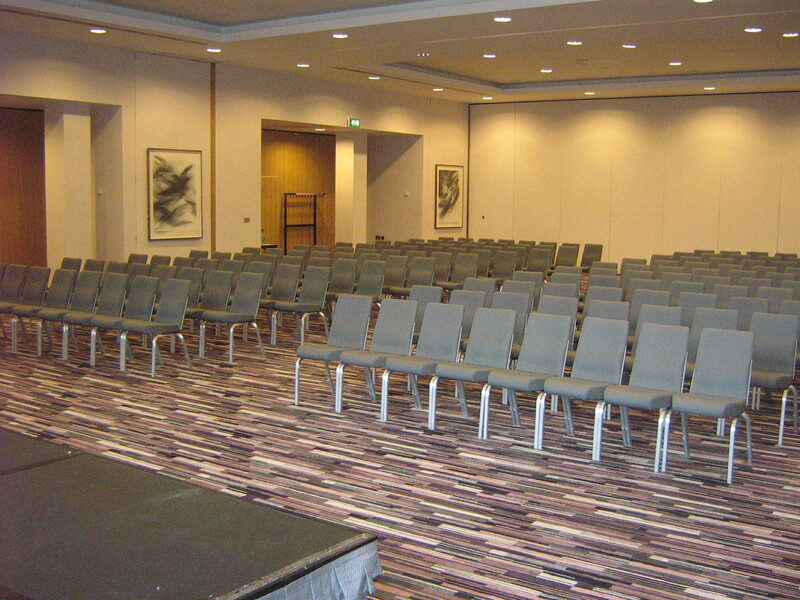 For expert advice on conference venues in Ireland, feel free to get in touch. On 17 July, 2009 by Ciara Feely	Comments (0), leave your own! On 5 February, 2009 by Ciara Feely	Comments (0), leave your own! While a free bar for the first hour or so is always a fantastic start to an event, I was there from set up time to ensure everything was going according to plan. I was pleased to see that the hotel staff were on hand to assist with the organisation and supervise set up and of course make sure the client is happy which he was. They also had a consistent presence through-out the event. The Organiser Damien was delighted with service and how the event went. The cocktails in particular kept everyone smiling! Very Central – In general my review of a hotel starts from the first time I see it, approach to the hotel and the sense of arrival. The location of the Radisson Royal is very central and is indeed great, it is built in an area that is changing fast and will undergo more regeneration over the next few years, there are some nosey neighbours across the street but I have not heard of them bothering guests. South Great George St is less than a 2 minute walk where you are right into the hustle and bustle of Dublin City Centre; Grafton Street is about a 5 minute walk and location wise for corporate travellers they love the buzz of the city centre. The IFSC would be a nice 15 minute walk in the morning or indeed a short taxi drive, but the south city business district around Stephens Green is about a 5-10 minute walk. 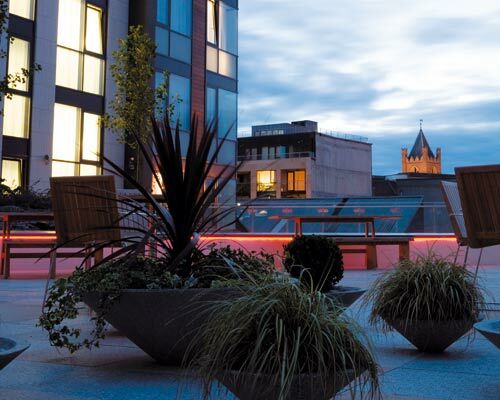 A perfect Dublin City Centre Hotel. On walking into the lobby, decor is modern, funky but not over done. 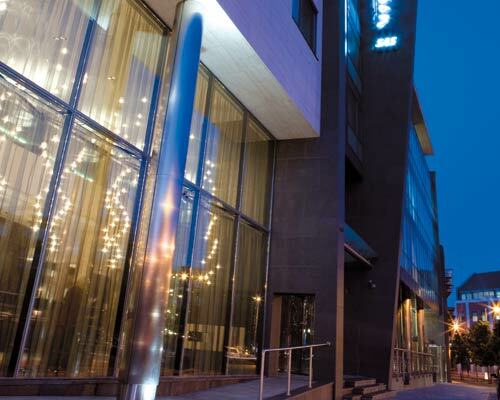 You immediately get a great vibe from the hotel and know you are in a popular Dublin Venue. Reception staff have always been very accommodating and responsive to my needs. 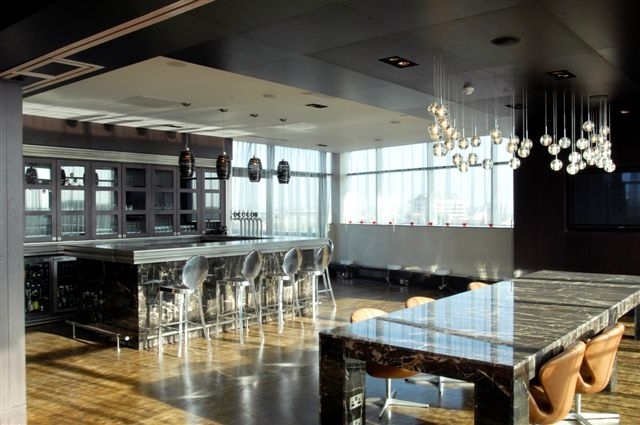 The lobby has some great space to hang out in- either to catch up on email or have a bite to eat or wander casually into the bar. 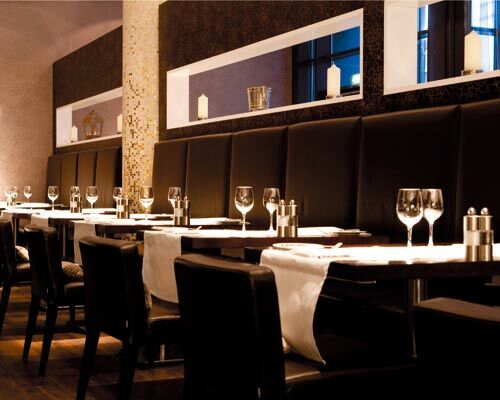 The SURE Bar serves some serious cocktails…..
Dublin City Centre Meeting Space - Comfortably accommodates up to 300. 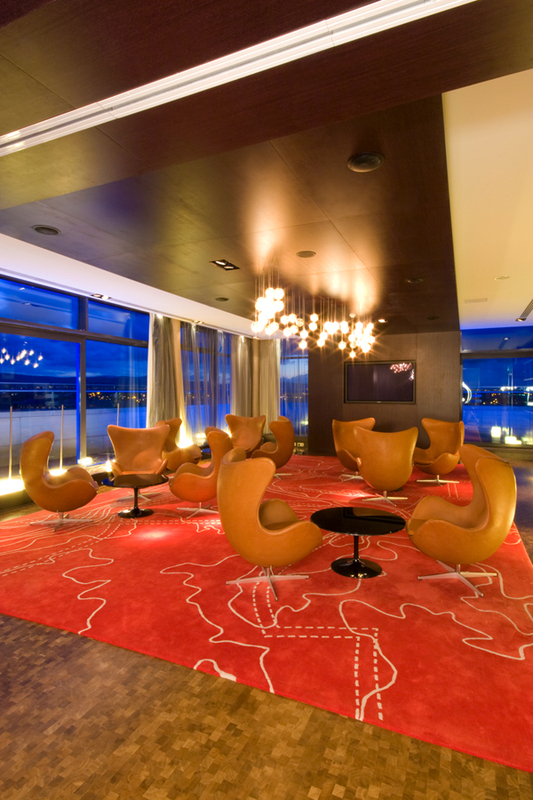 The meeting space – - is functional, well equipped and well laid out. The main conference or event room is located right off the lobby area, featuring a great reception area with bar and counter space. Ideal for a casual lunch or tea/coffee area. 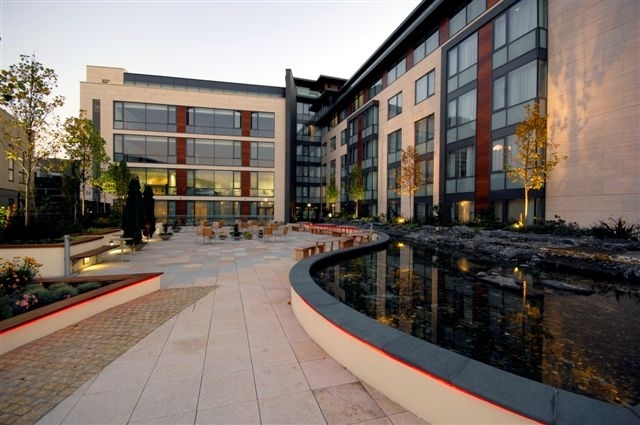 It also has access out to a great patio area so it is very easy to get some fresh air while at an all day Conference in Dublin. The room divides in 3 and comfortably fits up to 300. The remainder of the hotel conference facilities is on the first level – it is a great mix of light filled rooms accommodating from 10 – 60 again, well laid out, equipped with modern AV and overall has a feeling of a successful meeting. Summer BBQs, Corporate Parties and Team building events…. For corporate BBQs or team building events there is a fantastic urban oasis… a large patio area, that is sheltered and a great spot of a summer party. It would be very unique to the city as very few hotels have such outdoor space. 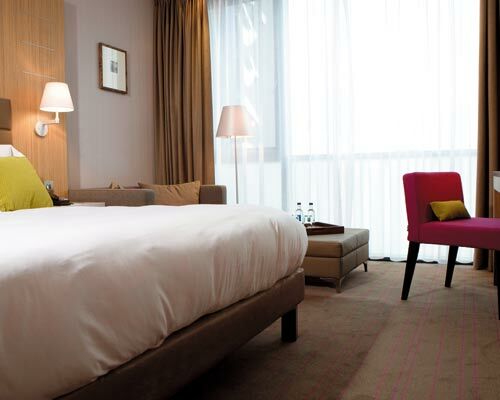 Dublin City Centre Accommodation – while I can’t say that I have stayed there, rooms look great, are very functional and equipped for both the business and leisure traveller. Overall, the hotel gets top marks from me. I find the sales staff excellent to deal with, very responsive and up for a laugh. Which is always a great attitude to have in this business.